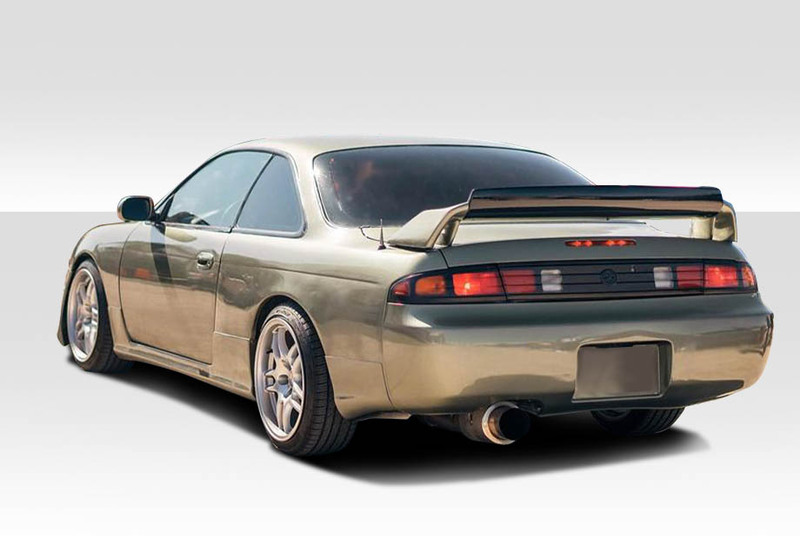 1995-1996 Nissan 240SX was introduced in the spring of 1994. 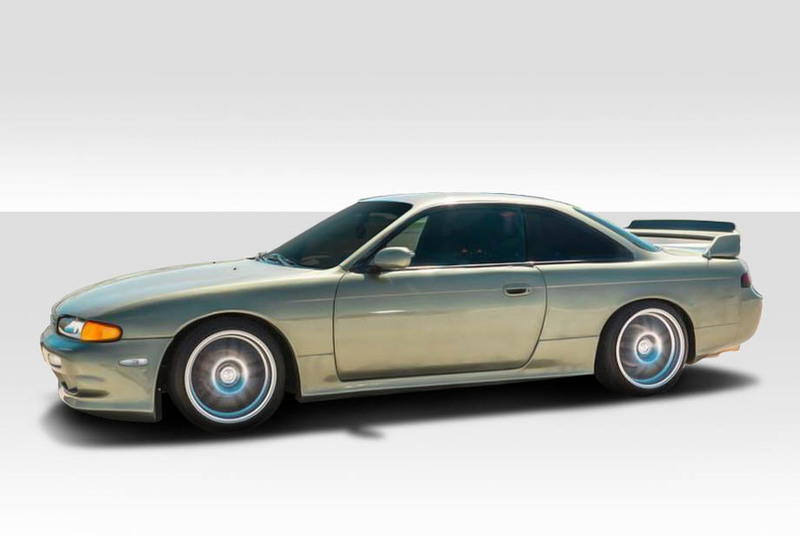 This second generation S14 has a wider wheelbase and the overall length was is shorter than the previous generation. At Driven by Style, we offer many exterior upgrades for this vehicle. 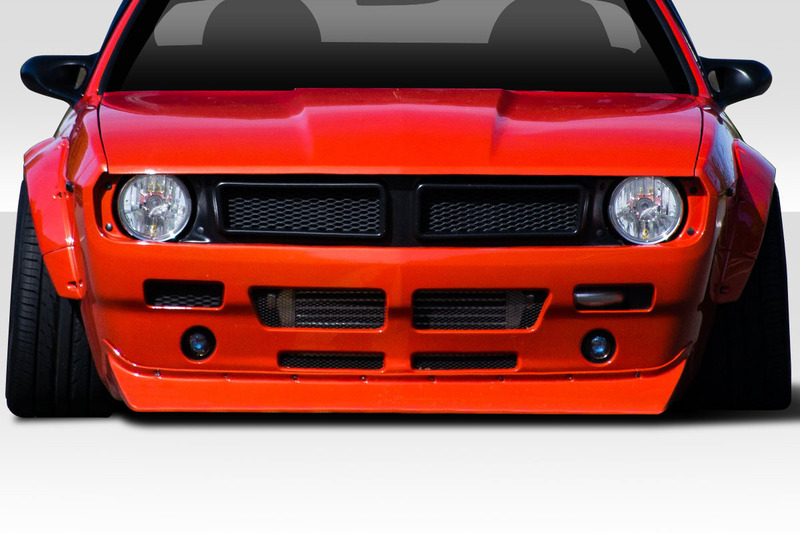 For instance, we offer many body kits that not only give it a better appearance but also better performance by offering wider fender wells on our widebody kits for more aggressive tire sizes. Additionally, we offer some hoods that will help cool the motors with having many different style vent openings. 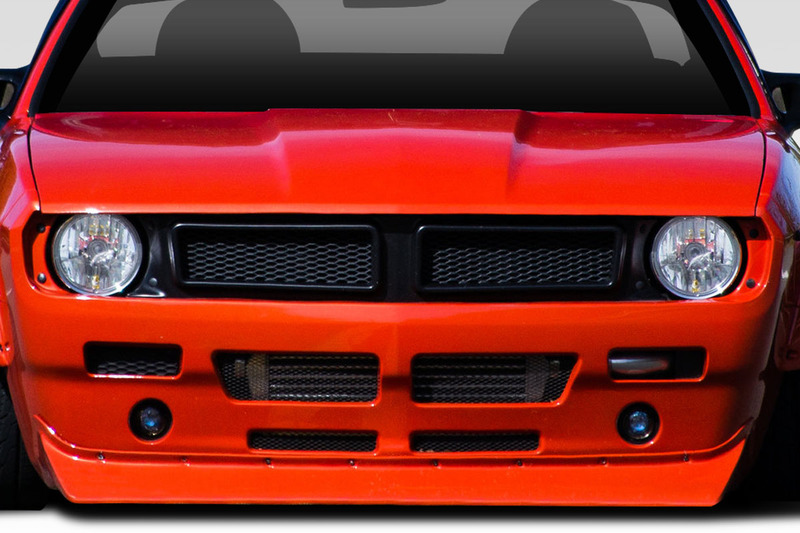 To sum it up, if you are looking for that certain appearance to customize your ride, we will help you achieve your goals! 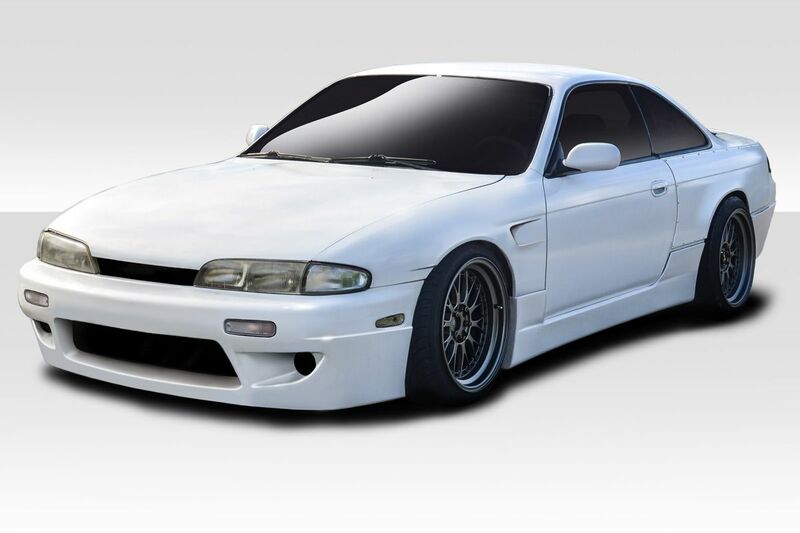 Duraflex has released the stylish Wide body that will widen your car 30mm in the Front and 30mm in the Rear. 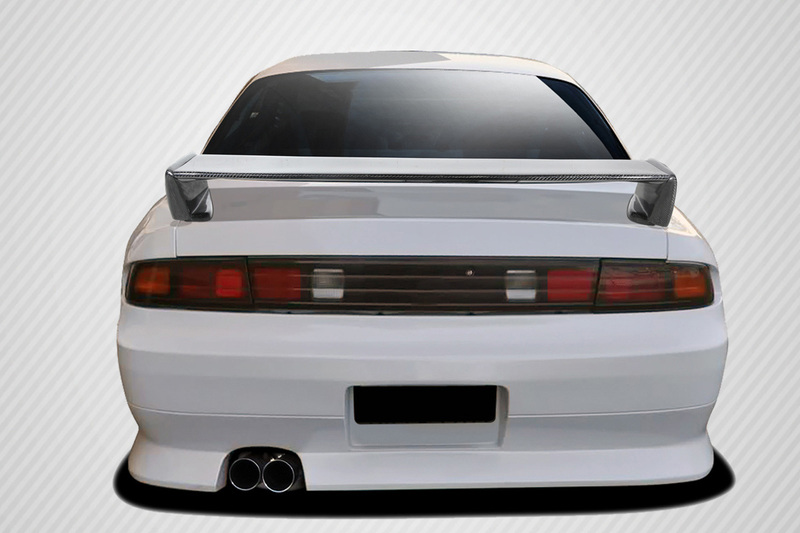 Additionally, widening the stance will give you improved handling when pushing your 240 to the limit. Extreme Dimensions, meanwhile, is adding different versions of this kit so check us out for the latest development. 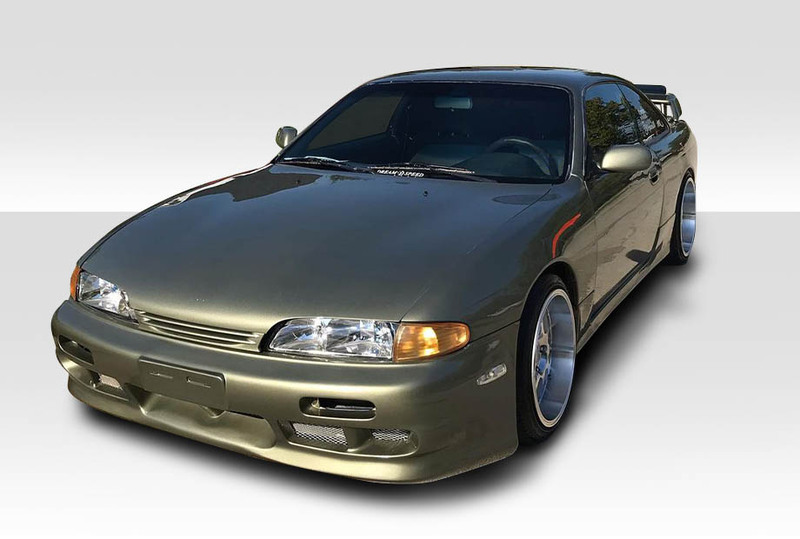 In Addition to just body kits, we offer complete frontend conversion kits to give you that real JDM look for your S platform. 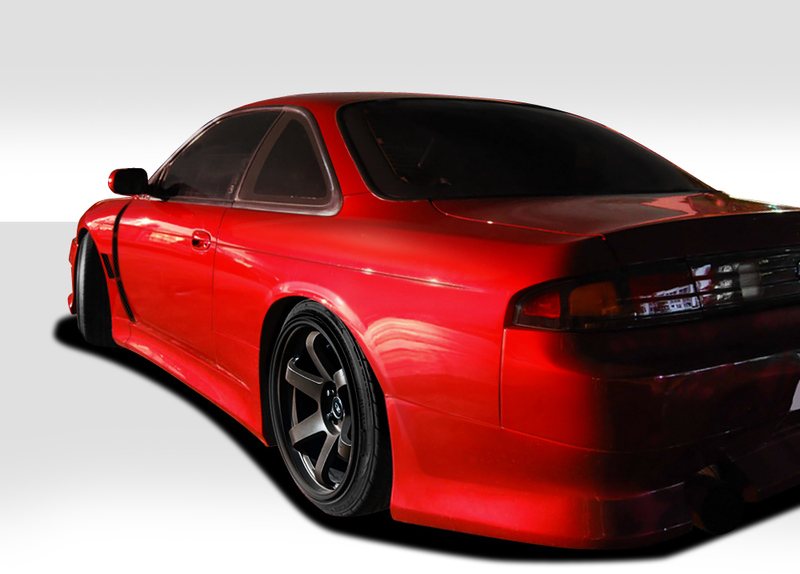 The Silvia S15 is a real popular conversion that you can purchase with different style front bumpers. 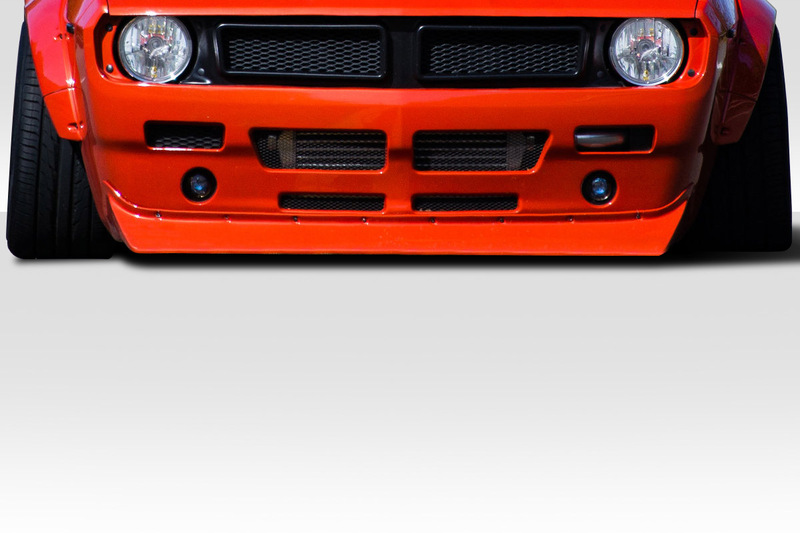 Secondly, the RBS V2 kit gives a totally different look with almost a Datsun fascia and available in a wide body option. 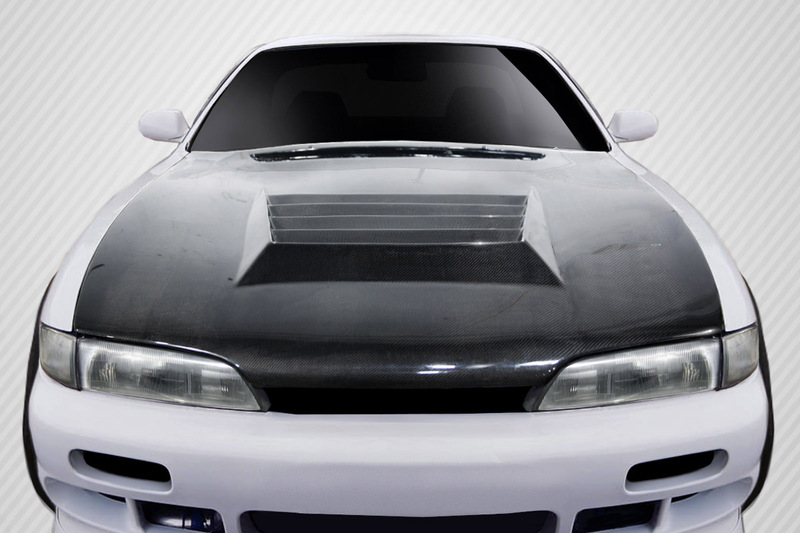 The 240SX is a very popular platform build for many Drift car Racers. 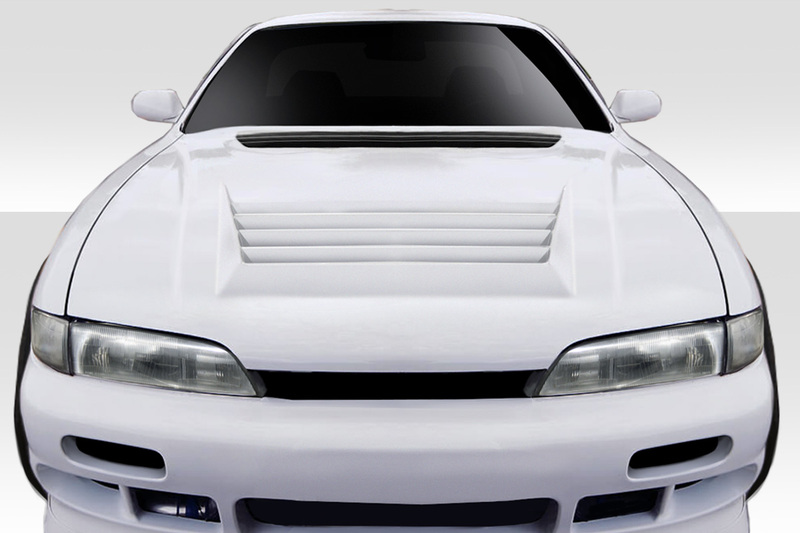 Duraflex offers many different styles that are commonly used on these cars. 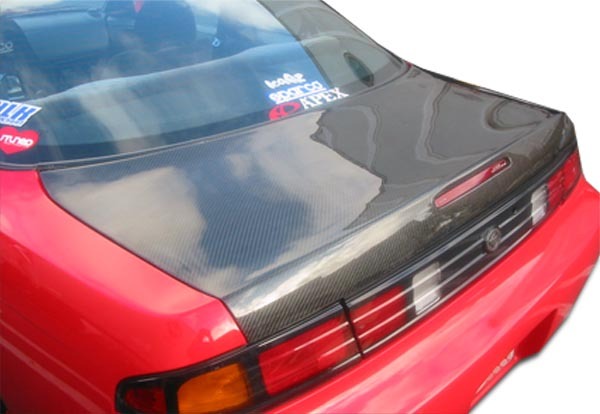 For example, some popular styles for 240SX body kit are B-Sport, C-Speed, M-1 and N-Sport styles. In addition, we also offer the Type U and V-Speed kits. In Conclusion, Duraflex very affordable and durable parts for all your drifting needs.